Cecilia Peterson Keil of Cecilia Fashion House is excited. A person with an insatiable passion for fashion and designs, she can hardly wait for Samoa’s inaugural Fashion Week in September. As one of the oldest and most established fashion designers, Cecilia’s work is well known around the region and the world. The 51-year-old designer has broken into the international market and her collection was showcased during the Pacific Runway in Australia last year. 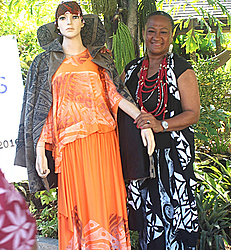 Mrs. Keil is one of the organisers for the Samoa fashion week in September. “We do need to get out there,” she said. 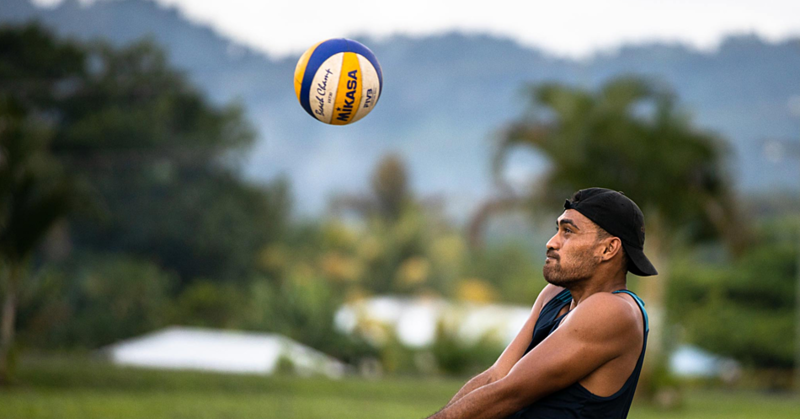 “I’ve been to the Fiji Fashion Week and the Pacific Runway and I saw that there is a lot of opportunities for our designers to be on that runway... to be exposed to that level. Cecilia said this will be a great opportunity to increase the local production and the local creativity of our young designers. “There are international labels that we have to meet standards, and the standard is very high at the Pacific Runway Fashion Show, so that’s what we want to tell to all the designers who are willing to participate in this fashion show. “This is where it is very important to think outside of the box. The collection we will be looking at will be based on the quality overseas. And that quality is very high, and you have to be very imaginative, think instead of puletasi; I know that it’s our national dress, but you have to think that when you go overseas, think of the trend that’s in and think what’s out there. 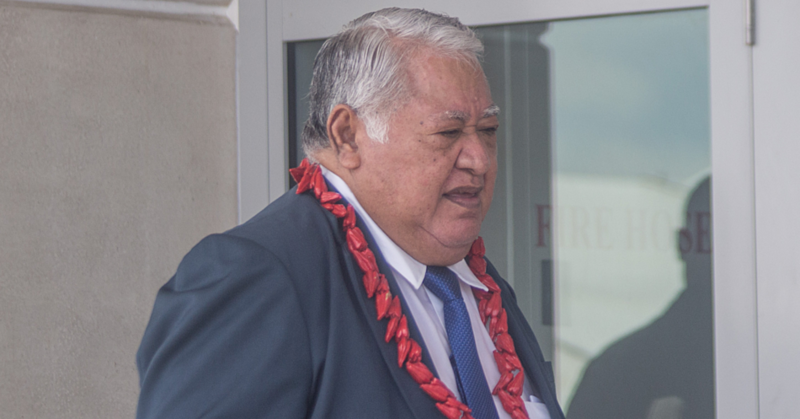 “So it’s about time we have our own fashion week to attract overseas markets for our businesses here in Samoa and this is also a great opportunity for the designers in Samoa to get their work out there. Moreover, she added that this could be an opportunity for our local emerging designers to step up to the international markets. “This fashion week can be a platform for our local designers in Samoa to take that step to go outside of Samoa, either to New Zealand or Australia, Paris and New York. 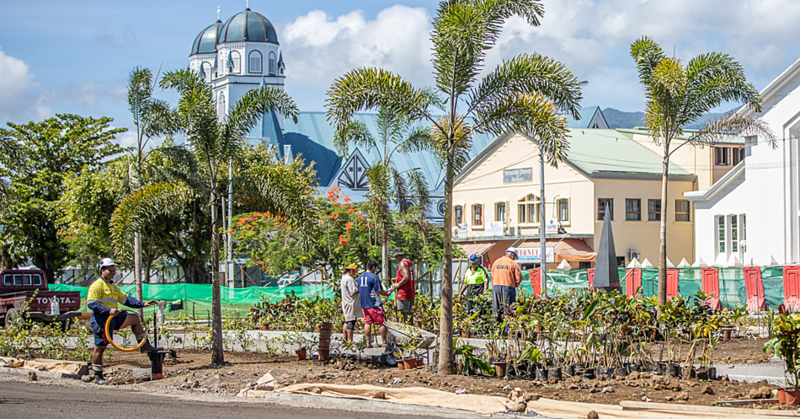 “Because there has been a lot of potential within our local designers, but they have been just designing for events here in Samoa like the Miss Samoa Pageant, and other small fashion shows. But this is an opportunity for them to bring in their different designs and work and to expose their talents for people to see. “And give them a platform to go to Australia and hopefully they will be able to go further and get contracts in other places overseas. Cecilia Fashion House all started from Mrs. Keil’s kitchen more than ten years ago. “I started working from my kitchen table,” she said. “I started off by designing and making wardrobes for our Miss Samoa, back in 1996 and 1997. The first one was Mary Jane Mckibbin who was crowned Miss Samoa and Miss South Pacific. I also designed and put together the wardrobes of other former Miss Samoa after Mary Jane such as Taralina Gae’e and others. In 2001, Mrs. Keil opened up her shop on top of the Eveni store. Asked about what got her into fashion, she replied saying, “I’ve told this story a number of times,” she said. “Being the youngest of nine girls, I always wore hand me down clothes. Mrs. Keil uttered that she gets new ideas for new designs from what’s out there. Moreover, she draws her inspiration from our culture and traditional designs and patterns. “We have very unique patterns and designs, they tell stories of our ancestors and those designs mean a lot to me. So when I work on a new design or a new collection, I look at the trends out there and then combine it with our traditional patterns and designs because they are very unique and I use it for my designs. As one of the oldest couturiers in the country, Mrs. Keil’s message to the emerging fashioners is simple. “Be original and be creative,” she said. “Try not to copy other people’s work. I am not saying everyone’s copying other people’s work, but I have seen some of the work that has been just copied from the red carpet. In her last comments, Mrs. Keil uttered that being a fashion designer has been the dream she has been chasing since she was young, and she will continue to live her dream. “Fashion has paved my way through life and has helped me put my kids to school and helped out my family with our everyday life. “Being a fashion designer is a dream come true for me and to come this far is something I am grateful to our Heavenly Father for. Lastly, Mrs. Keil wanted to thank everyone who has supported her along the way, especially her husband, Conrad Keil and her five children for always believing in her dream.